It’s inconvenient and frustrating when your garage door starts working incorrectly or stops working all together. Perhaps it’s not the time to call—again—for a repair. It may be time for a full replacement. But how do you know whether to get a repair or install a new door all together? 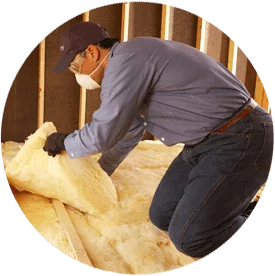 The team at Broken Drum Insulation of Visalia has a few tips for you! You aren’t happy with your current door (many people want to replace their old, dull or outdated garage doors). You’re moving in the next three – six months and want to boost the curb appeal and resale value of your home. Your garage door is damaged beyond repair. Some damage is just too extensive and requires full replacement. Your garage door is old (average lifespan of a garage door that is well taken care of is 30 years). Your garage door hasn’t run properly for a while. Your energy-inefficient garage door is causing your bills to increase. Your garage door doesn’t have modern features (safety reversing sensors, etc.). Broken Drum Insulation of Visalia has experience with all types of garage door replacements. Whether your garage door has been damaged by inclement weather or has stopped performing reliably due to old age and corrosion, our team can help. Contact us today!